Known as the sunset capital of Alabama, Dauphin Island is a barrier island located three miles south of the mouth of Mobile Bay in the Gulf of Mexico. Entry to the island is made by crossing a three mile long high-rise bridge which opened in July 1982 after the original drawbridge was destroyed by Hurricane Frederic in 1979. An automobile ferry from the eastern shore also offers an entry point on the eastern end of the island. The island is approximately 14 miles long and 1 ¾ miles wide at the widest point. 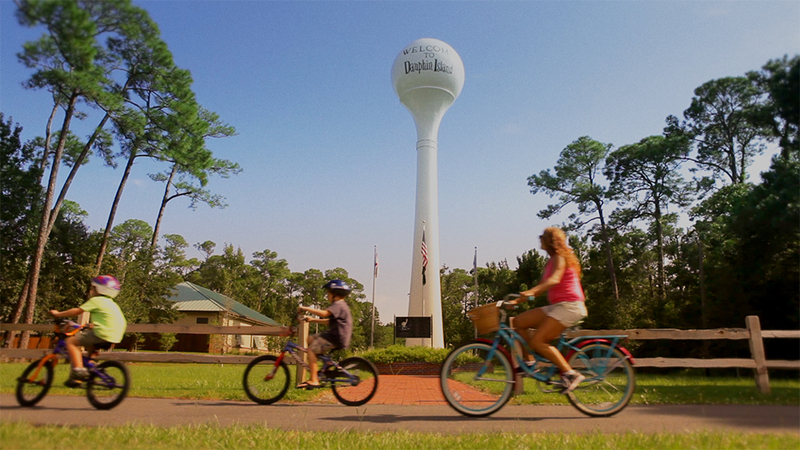 It is estimated that 1300 permanent residents call Dauphin Island home. The number of residents soars during vacation and holiday times. The entire island has been designated as a bird sanctuary and thousands of visitors come to experience the annual migrations. Many attractions are located on the east end of the island including Fort Gaines, the Dauphin Island Sea Lab, Dauphin Island Campground, Audubon Bird Sanctuary and numerous boat launch sites. Our beautiful beaches of sugar white sand and parks are added attractions located on the west end of the island. Together they make Dauphin Island a wonderful laid-back resort destination. Delicious restaurants offer fresh seafood harvested from the Gulf waters as well as traditional menu items. Sun worshipers mix with anglers and sport fishermen on the beaches and in the waters surrounding the island. Fishing piers provide access to Gulf of Mexico and Mississippi Sound for shallow water fishing for the land lovers, while charter boats offer deep water fishing excursions. Swimmers and surfers enjoy the Gulf waves and kites fill the skies above the beaches, floating on the Gulf breezes. Beach combers walk the shoreline in search of shells and other treasures of the sea, while sea birds and ghost crabs frolic on land and sea.